I absolutely love these products!! I have used both the lavender and citrus scrubs and the lavender rosemary oil. I am a hairdresser and a runner so at the end of the day the scrubs makes my skin and especially my feet feel amazing! I use the oil as I would a lotion and feel no guilt about any harsh chemicals or toxins. I would recommend this product to anyone who enjoys their skin feeling and looking great. Also the packaging is beautiful with affirmations in all different languages so anyone can read them. Love it! It is rare to find a product that is truly organic, a great price and works! I hit the jackpot when I found I AM Organic. Being that I am in the healthcare field, I am skeptical about a lot of products out there. Since I travel a lot with work, my skin takes a LOT of abuse from the different environments. In just a week of using the Body Balm, my skin was softer. Also I found that it had multiple uses. I put it on my lips and it immediately took the “chapness” away! In addition, I discovered that it can also be used as a gentle makeup remover, leaving a refreshed, moisturizing feeling while removing the day’s makeup! I AM Organic, you are heaven sent! I really enjoy your Body Oil! It makes my skin soft and has helped drastically with my dry “winter skin.” I like that it’s a dry oil, so I don’t have to worry about it getting on my clothes and leaving spots. I like to use the Body Oil every day right out of the shower. A little goes a long way, plus my husband likes the soft and natural smell too! My silky legs thank you! I've tried the sugar scrubs and body oils and love both products. The smell is great and my skin has never felt better. Prior to using the scrub and body oil, I used to apply a body lotion every morning and now I do not need too. My skin is so soft and hydrated. These are great products and it is even better that they are all natural. “The very first day I used this product I felt the difference in my skin. I applied it after I came out of the shower with my skin still damp, almost wet. I poured a bit into the palm of my hands rubbed them together to get it warmed up, then lathered myself up with it. A couple hours later I was marveling at how soft my skin felt, I’m not exaggerated my skin was so moisturized, I was like ‘wow this stuff is amazing." I love the scrubs. Being a mother of two little girls, I am always slacking taking care of myself. The scrub gets rid of the dead skin and fully hydrates in one step. I don’t need lotion after the shower because the scrub is so hydrating. 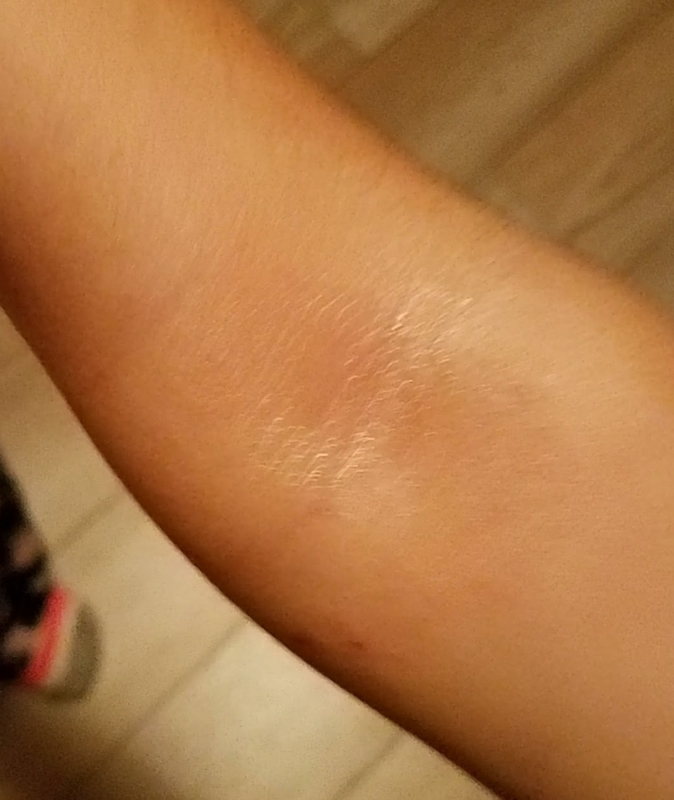 I love the scrub for my 4 year old too, her skin is so soft and smooth. I don’t have to think twice about chemicals and what I am putting on my babies' skin. My favorite product in this line is the sugar scrub. I like the smell and the texture. The scent was not feminine but refreshing. After the first use I could feel the difference in my skin. Being a male I was a bit apprehensive at first because I didn’t want my skin to smell or feel to “girly.” To my surprise it helped to relieve my dry itchy skin and made it softer to the touch and the scent left me feeling invigorated. I’m notorious for being bare foot and my feet are always callused and cracked. 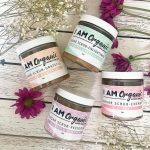 I’ve tried everything on the market and nothing helped until I used I AM Organic’s Balm. I was shocked at the results. My feet are smoother than ever and the cracking and dryness have gone away. For the first time in years I’m not ashamed to wear sandals. "These products are absolutely luxurious! The Coconut & Green Tea scent is delicious, rich and soothing. The body oil makes my skin feel like velvet and infuses a ton of long-lasting moisture. The scrub is invigorating and cleansing without being over drying or too harsh. I couldn't be happier with these products and I look forward to using them every single morning." 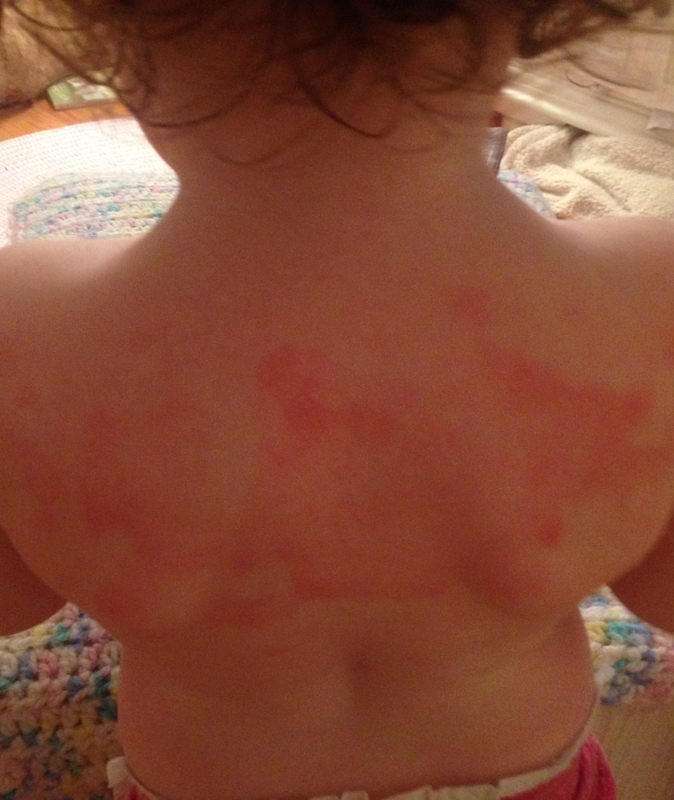 My 2 year old had a rash on her back from the dry weather. I tried many different products including coconut oil, Aquaphor, and a variety of lotions. Nothing worked. 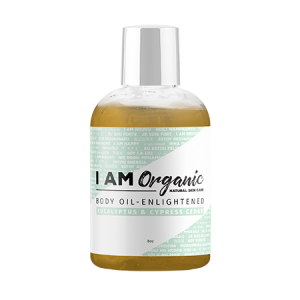 Then I tried I AM Organic’s body balm. 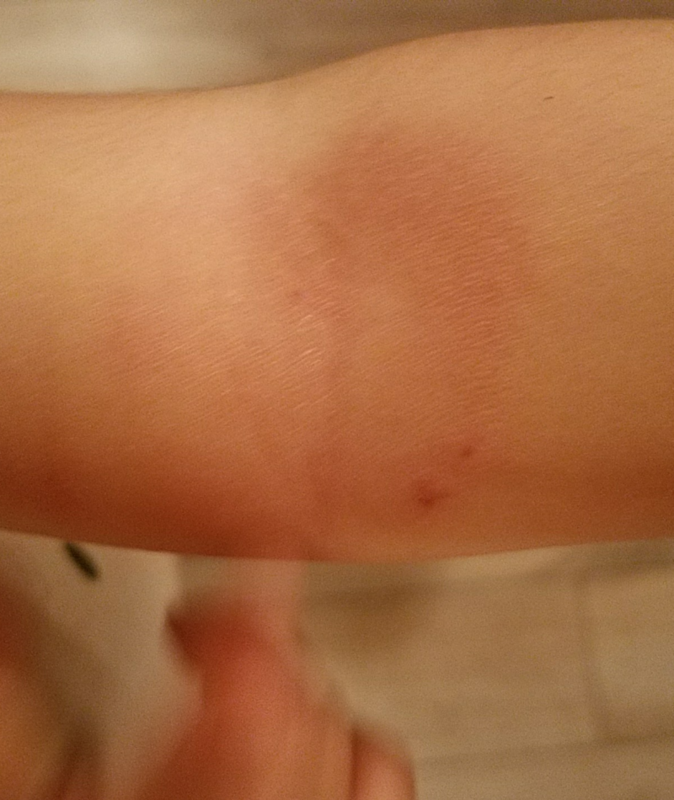 Within 3 applications, in less than 24 hours, her rash cleared up completely. I continue to apply it daily and use it more often if needed. I love how natural all the ingredients are. They are 100% safe for my daughter. It smells good too! 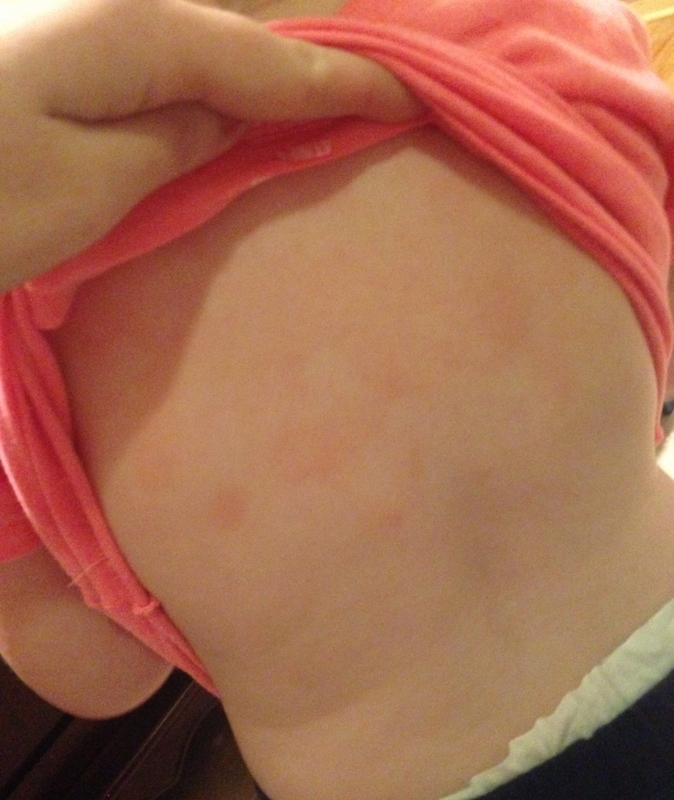 I’m so glad I found a natural product to help ease and remove her rashes. I’ve been recommending it to many friends! Restorative Therapy for my skin. I have never felt my skin feel so hydrating, healthy and smooth. At 51 years old and a sun worshiper - I thought the damage was done. I feel that these products have reversed that! Organic Wild crafted Body Sugar Scrub — Did you know that you shed a complete layer of skin every 4 weeks? 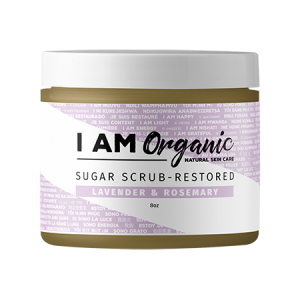 Using our sugar scrub will aide in that process by gently exfoliating your skin and allowing the healing and restorative oils to penetrate through to the dermis going deep into your layers. Working from inside the surface of the skin outward will give your skin the ability to retain moisture and regulate the circulation of blood flow. Why is blood flow important to your skin? It helps nourish skin cells and keeps them vital by carrying oxygen and nutrients to them. A healthy blood flow will work in unison with the beneficial ingredients in our scrubs. Its gentle formula is specifically designed to help neutralize skin irritations such as eczema, psoriasis, skin bumps and acne. By increasing blood flow while absorbing nutrients your skin will rid itself of toxins. Its oils are enriched with vitamins and minerals like E, B complex, D, calcium, magnesium, phosphorus and some proteins. The presence of fatty acids along with linoleic acid makes this scrub an effective moisturizer for skin. By exfoliating the skin with our special blend of ingredients it can slow down the pace of aging skin by preventing the new skin cells from oxidation and improving skin rejuvenation. The essential oils used to scent our scrubs are just as an important part of our product as its oils and sugar. They are specifically designed to enhance your mood and clear your mind. It is scientifically proven that by inhaling certain aromas it can affect your emotional wellness and overall health. The physiological impact from aromas on the mind are astounding. Our sense of smell is directly connected to the limbic system which is the oldest part of our brain. Our aromas are designed to work with this system to bring calm and simplicity to the brain which then signals the heart and body to feel centered and rejuvenated. In one simple step you can nourish your skin and mind at the same time. Simply use after showering while the skin is still warm and moist. Rub into your skin until the sugars dissolve and rinse. Pat dry and feel good about what you just did for yourself. Since no persons skin is the same always start with a small patch of skin first to avoid possible irritation. Organic Wild crafted Body Oil — Did you know that certain oils can not only nourish and soften your skin but clean it as well? Our body oils do just that. The special blend of oils used in our products are formulated to benefit the skin by ridding it of toxins and impurities such as cigarette smoke and pollutants while reaching through its dermis and working to moisturize and nourish it from the inside out. Our skin is the largest cell in our body and is the first defense against harmful impurities that are in our air. The chosen oils in our blend have been found effective in the treatment of inflamed and wounded skin and their anti-inflammatory properties fight against bacterial infections. These oils can also aide in the treatment of skin conditions such as eczema, psoriasis, skin bumps and acne as well in help reduce skin infections. Using our oils as massage oils can be beneficial for improving joint and muscle pain and leaving your skin detoxified by removing the environmental toxins from your body. Since skin is the largest organ in your body, more toxins are released by them. Massaging these oils into your skin can also improve the elasticity of your body skin. While cleaning the skin the nutrients from the vitamins, minerals and proteins in our blend are absorbed deep below the surface helping it to hydrate, retain its moisture and regulate blood flow. Keeping your skin hydrated will help to prevent further skin marks. Our oil blend is rich in antioxidants and the essential fatty acids linoleic and palmitic which help it absorb easily into the skin insuring and promoting its suppleness and softness. The aromas were chosen for our oils in order to promote a sense of wellbeing and calm. Eons ago our sense of smell was used to guide us to know when it was time to eat, sleep, run and even reproduce. Over time our brain has become more complex. Still our sense of smell can bypass its complexity and evoke a physical response long before we ‘think’ our way there. Realizing the power of smell we have incorporated aromas to help benefit our brain health. In one step we can clear a path to a healthier brain and skin. To use as a body oil after showering rub into the skin while still warm and moist then towel dry. To use as a massage oil rub into dry skin until absorbed. As with any new product always test a small amount on a small patch of skin to ensure no skin irritation. Organic Wild crafted Body Balm — Did you know that our skin is the largest cell organism in our body? It’s our first line of defense against the elements of the changing seasons and works as a shield to protect our internal vital organs from injury, bacteria and the potential harmful environmental pollutants in our atmosphere. It accommodates us with our growth and can shrink back from pregnancy and weight loss in months’ time. Protecting it and feeding it the best nutrients benefits your whole being. Those nutrients are exactly what our body balm is made of. The butters and oils chosen for this balm were specifically designed to work with the skins molecular properties to help rebuild and strengthen them from the inside out. By using our balm while your skin continues to automatically shed and rejuvenate itself you will be giving it a number of fats and phytosterols that can change its production. 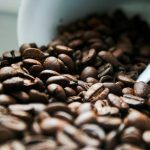 So what are phytosterols? Phytosterols not only stop collagen breakdown but encourage new collagen production which can provide tighter more toned skin. Hence, leading to our balms helping to relieve puffy eyes, cracked, dry and flaky skin, helping to reduce the appearance of stretch marks and wrinkles, scars and cellulite while hydrating your skin and enabling it to retain its moisture to keep it soft and silky. Butters in our balm contain a 4.5 PH balance which is said to be the same as human skin. This is one of the reasons why it helps protect against acne and blemishes. Native woman have used these butters for centuries for their antiseptic properties as well as their ability to block harmful enzymes from penetrating the skins dermis. Our balm contains Vitamins A, D, and E as well as linoleic acid and lecithin which has the ability to penetrate the epidermis and carry substances to the right cell level. Using this balm is the best way to say thank you to your skin for its hard work protecting you and filtering out harmful environmental agents. To use the balm take your desired amount, emulsify in your hands and rub it into the skin. It’s always better to use skin care after showering when the skin is still warm and moist for optimum absorption. Be sure to test on a small patch of skin before using all over to avoid any possible irritations. Both of these acids help to retain moisture. When showering or bathing your pores expand and open letting water and the oils penetrate into the dermis of the skin. It is able to reach deep into the layers of your skin and can now start working from the inside out. All of the vitamins minerals and essential compounds that our oils contain are able to be drawn in and start correcting and healing your skin from the inside out. Lecithin and the acids work together in penetrating down into the deep layers of your skin and that is where the benefits of lecithin take place. Lecithin is considered a binder or what I like to call a director. It acts like the leader of a family working together to direct the vitamins minerals and nutrients where to go. In other words where they are needed the most helping to heal the dermis and hypodermis before it makes its way to the surface your ectodermis. It’s literally strengthening your virgin skin before it makes it way to the surface. With continued use of the products what starts to happen is the under layers of your skin get healthier and healthier so when your body sheds (which it does every 4 weeks) the skin that is now revealed is healthier and healthier. Your new skin has been cared for months in advance and has a head start in being the ultimate defense your body has to the elements. Phytosterols are what I like to call the cholesterol of plants. If you ever see a plant that has really plump leaves or pedals that is due to phytosterols. They keep the plant plump and smooth and juicy. When consuming plants that have phytosterols they are very beneficial to your heart and blood health. When using them as a topical it has been scientifically proven that they not only help in the reduction of collagen break down but also help to revitalize collagen regrowth. All of I AM Organic products use oils and/or butters that carry all of these wonderful and essential ingredients. With continued use it is virtually impossible not to feel and see their benefits. It’s simply the cause and effect of the oils and butters qualities that were chosen to be part of our formula. It’s simply natures work at its best.